Tay Vaughan grew up in Weston, Massachusetts, a suburb about twelve miles west of Boston. At age five he committed a thoughtless act and was run over by a bakery truck in the neighbor's driveway. Later, when his collar bone had healed, he began cello lessons from Mrs. Bacon at the New England Conservatory of Music, and at age six debuted on the Conservatory stage, playing a Dotzauer concerto for open strings. 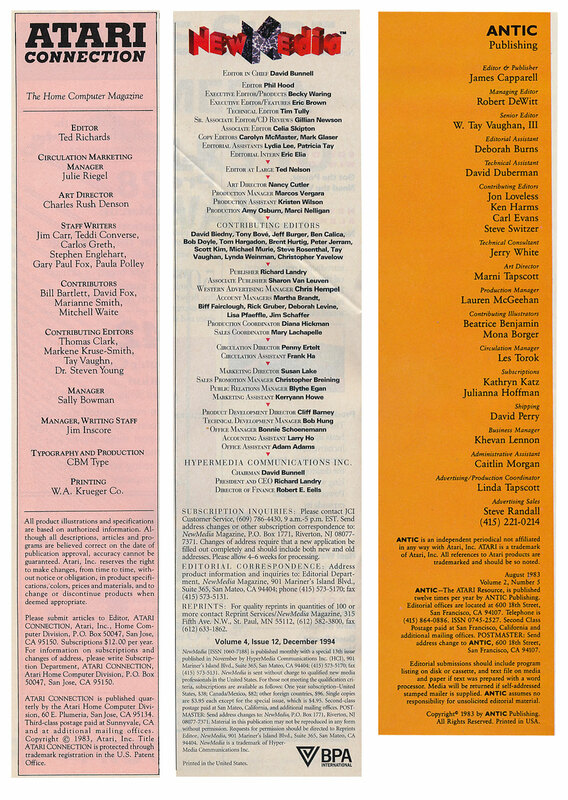 In 1958, Vaughan escaped a difficult parental divorce by going off to the fashionable Governor's Academy in Byfield, Massachusetts -- the oldest prep school in the United States (1763) -- where he played football and ice hockey and studied Latin and Literature under stringent performance rules. He owned a tuxedo, attended Sunday tea dances, and, when he could, rode the MTA at all hours. He was severly disciplined when he made explosive ammonium iodide crystals in the chemistry lab and laid them on the stone hearth where only the headmaster stood during all-school meetings in the Phillips Building. Nobody laughed following the startled commotion. 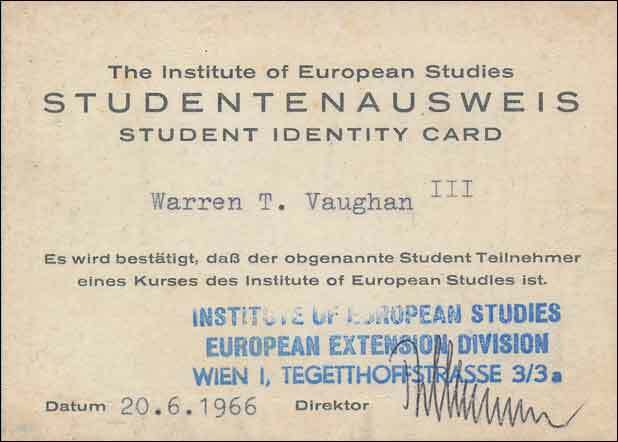 Vaughan claims they would have hunted him down and expelled him, had he not turned himself in to the student dean following miserable hours of hand-wringing and reconsideration. 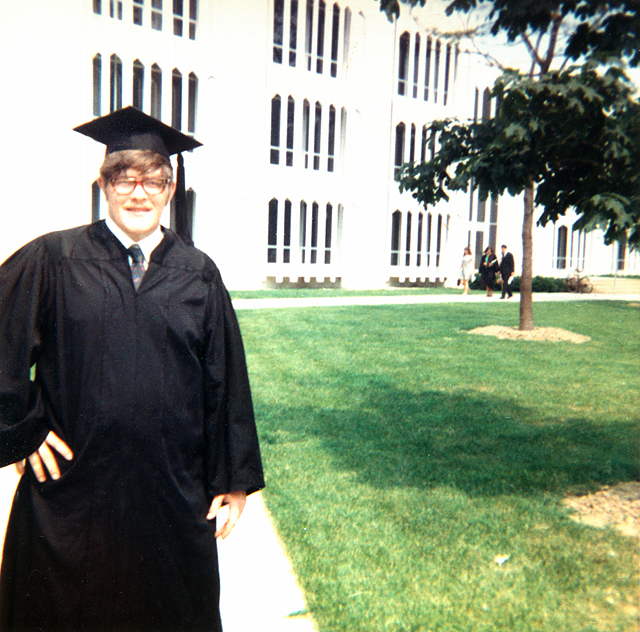 Four years in a boys boarding school had ill-prepared him for the real world, so he went off to the best coeducational college he could find, in Oberlin, Ohio. Playing ice hockey and learning about women seriously distracted him from academic purposes, and after a lackluster first year in the classroom, he took a year off. In San Francisco he was hired as an ordinary seaman aboard the 7,143 gross ton Norwegian break-bulk freighter Evanger and circumnavigated South America via the Straits of Magellan and the Panama Canal. He then spent a second year at Oberlin unable to find a raison d'etre for it all, and, while his grades were passing, took yet more time to consider life. 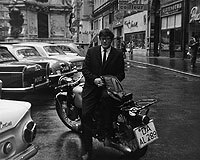 In the summer of 1965, he sold his motorcycle for passage on a ship to Hamburg, Germany, where he had arranged for a job that collapsed on his arrival. Borrowing cash from the Red Cross and claiming three years' experience, he found work as a carpenter with the Stars and Stripes Newspaper in Darmstadt. In a woodshop filled with local craftsmen and occasionally with trustees from the U.S. Army stockade, he built newstands and bookcases and learned precision joinery. 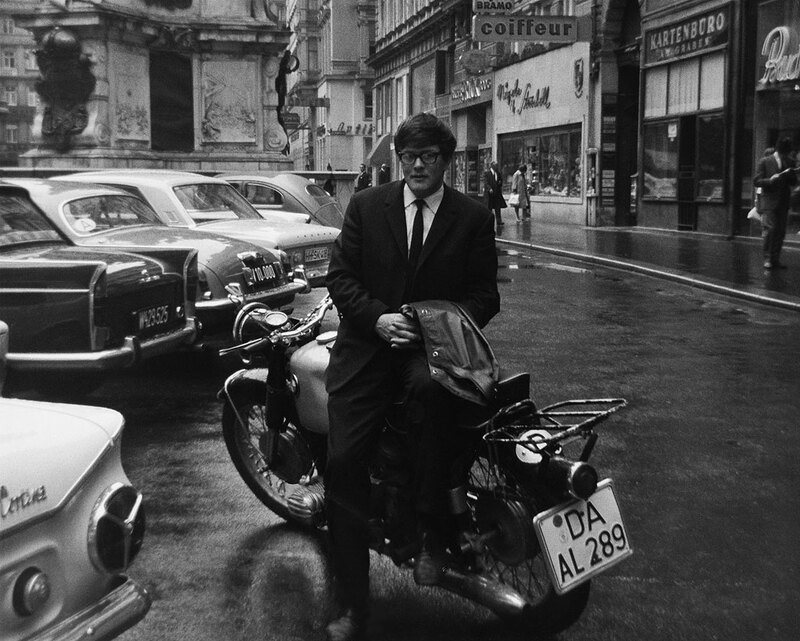 When spring came in 1966, Vaughan fell in love with a sweetly intense German girl. He collected himself, attended briefly the Institute for European Studies in Vienna, married, and returned to Oberlin where, two years later, he gradutated with departmental honors in Anthropology and Sociology and received a Woodrow Wilson Fellowship nomination. He was accepted into a social sciences doctoral program at the University of California, San Francisco Medical Center, and received a Graduate Fellowship in Human Development from the National Institutes of Health to study death and dying among renal failure and kidney transplant patients. 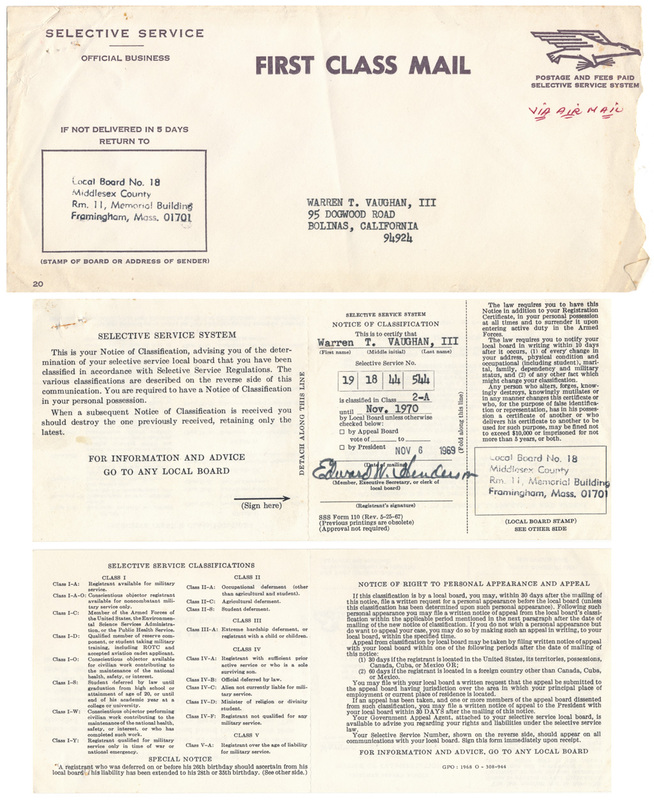 In the draft lottery his number was eleven, but due to the nature of his work, in 1969 he was issued a Critical Occupation deferment from the military draft. 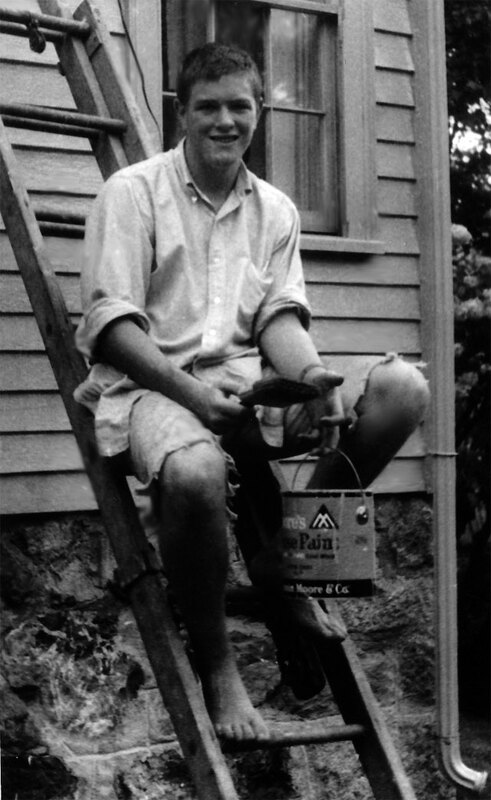 In 1971, after about 60 hours of accumulated graduate credits, he destroyed his doctoral research and dissertation during an existential crisis brought on by the very nature of his studies, and apprenticed himself to the world-class master craftsman and woodworking artist, Art Espenet Carpenter. 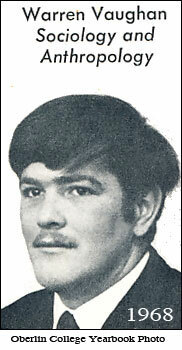 Later he joined the International Brotherhood of Carpenters and Joiners. Among other leavings, he helped build three lost-form, post-tensioned concrete highway overpasses on Route 50, east of Sacramento. And he built a dozen or so very expensive custom homes in Marin County, California, before building his own house in Mill Valley. In his front yard in Bolinas, California, Vaughan built a 31-foot ocean-going sailboat, The Invocation to the Great Bear, which he later sailed from San Francisco to Newport, Rhode Island, via Panama, then to New Orleans. While living on his boat in San Diego, he spent six months working as a master carpenter at Driscoll Custom Boats, rebuilding the 12-meter yacht INTREPID for the America's Cup races, and in August, 1974, he participated in Intrepid's campaign to defend the cup at Newport. Vaughan notes that he shared most of this voyage and happily some years after in the companionship of a rare and highly-skilled woman from the Midwest who stood tall and smiled when the wind blew strong, and who never once collapsed in the face of adversity. 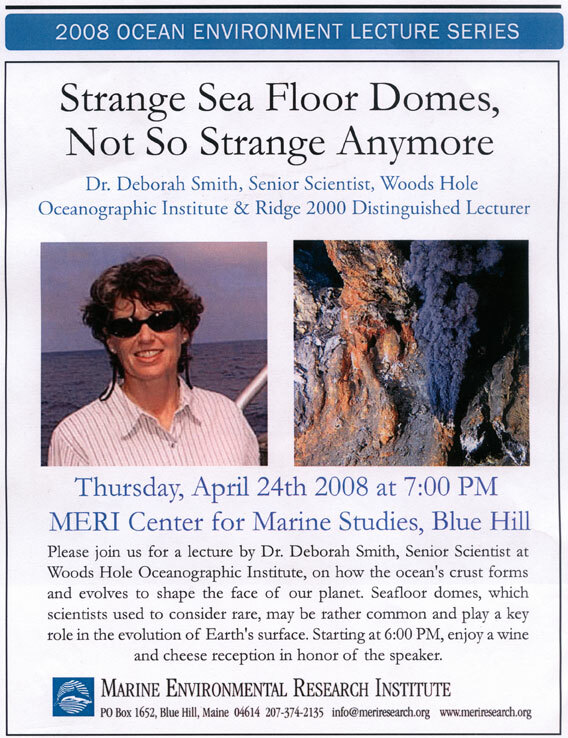 In the end, she made of the sea a lifelong career in physics, mathematics, and tektonic geology, accreting hard-won doctorates, post-doctorates, published papers, and reserarch positions. 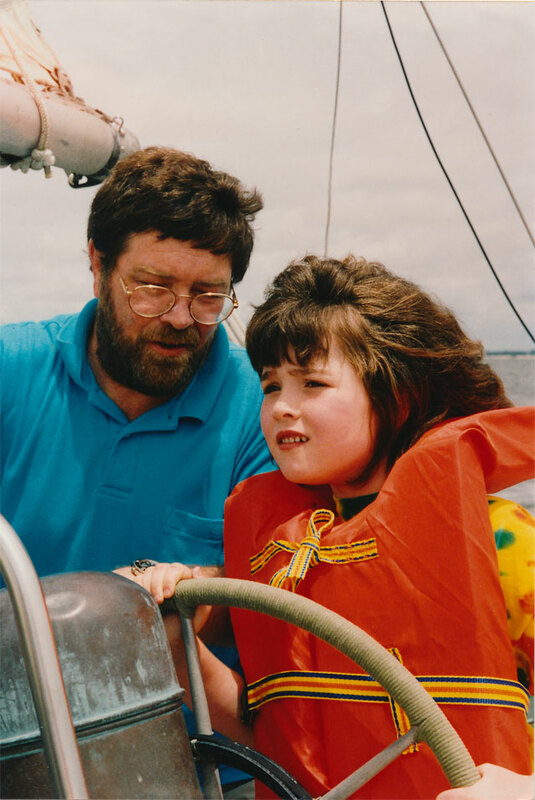 For a brief period in 1975, Vaughan prepared curricula and taught navigation skills at the Charles F. Chapman School of Seamanship in Stuart, Florida, where he was Dean of the School. In 1976 he sailed to New Orleans and sold the Great Bear at Lake Ponchartrain. He took up flying, and passed the examination for Private Pilot Airman's Certificate, single engine land. 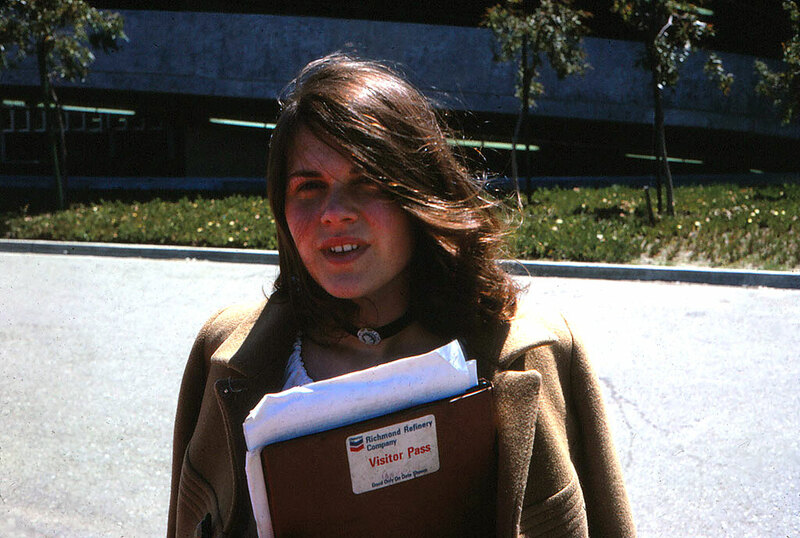 Vaughan then returned to San Francisco to become the Western Regional Director of the Oceanic Society, where he managed the west coast operations of this national membership organization dedicated to education, conservation, and research. 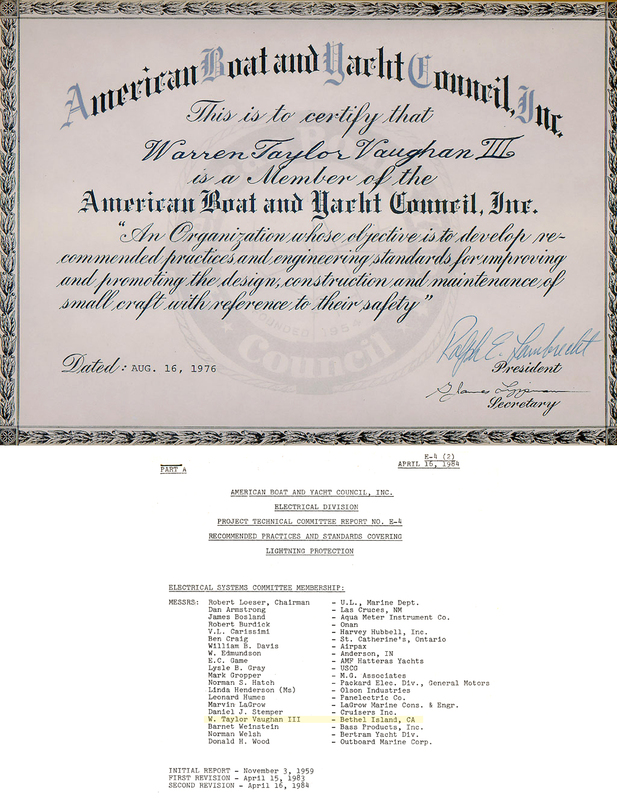 During this time, Vaughan also consulted as an independent Marine Surveyor, providing experienced opinion regarding vessel safety, condition, and value for underwriters, lending institutions, and private parties, and he provided expert testimony in the courts. 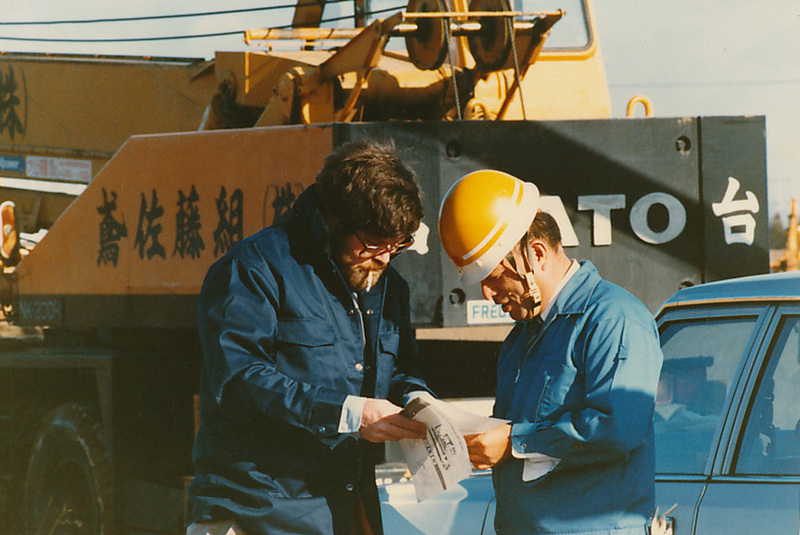 He also developed a submersible data acquisition system for which he was awarded U.S. Patent No. 4227246, "Multi-parameter Measurement System for Fluids". He is also a licensed U.S. Merchant Marine Officer (Master, Near Coastal Steam, Motor, or Sail, 100 tons), and during this time captained for a charter fleet working out of Pier 39 in San Francisco. 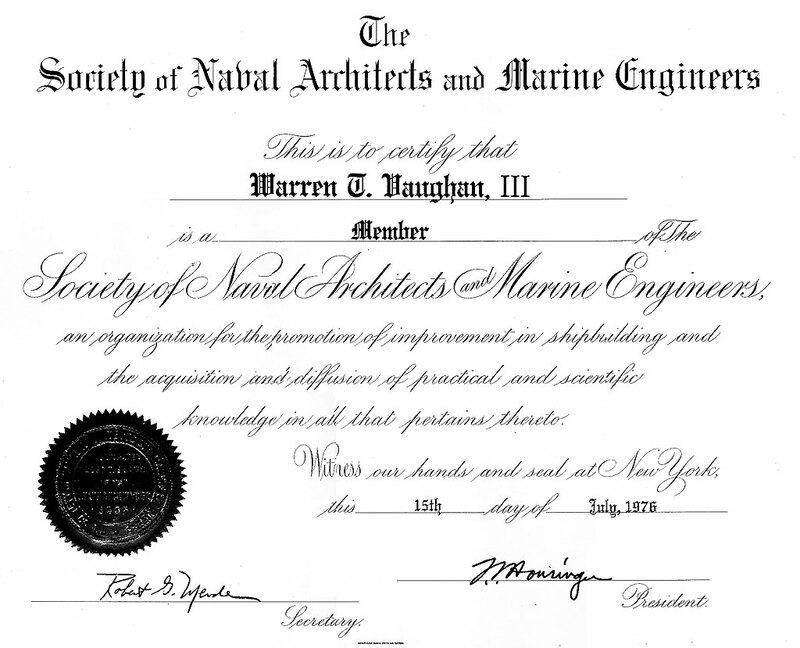 In 1978 Vaughan founded the Bay Area Marine Institute, a maritime training school with shops, classrooms, and docking facilities at Pier 66 in San Francisco. 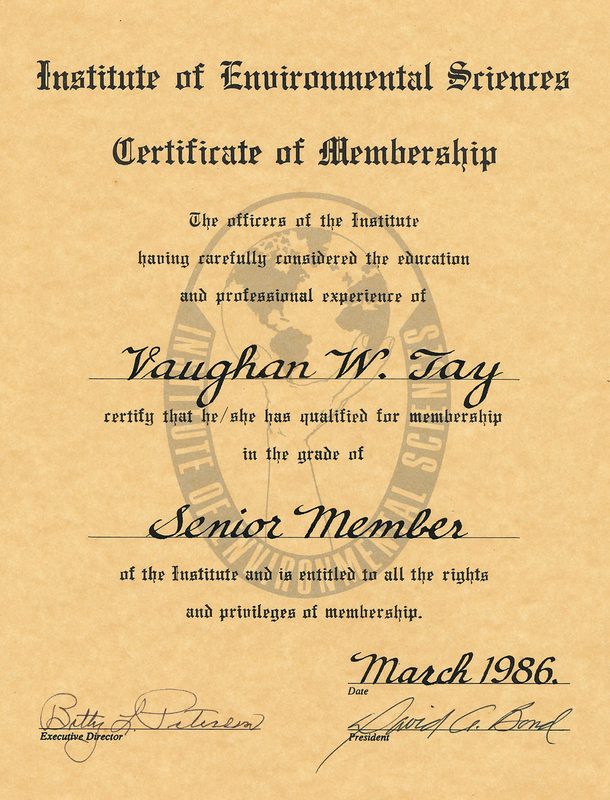 The Institute provided full-time accredited training programs in boatbuilding and general maritime skills, continuing education, and recreational programs until it closed down in 1983. He represented the American Sail Training Association in San Francisco, and was invited to sail as a guest training officer on the Portuguese Navy's tall ship Sagres, on which voyage he took twelve American cadets to Seattle. As school projects, the Institute built two 26-foot Monomoy whaleboats, one for Sea-Land Service (the container shipping company) and one for the California Maritime Academy. 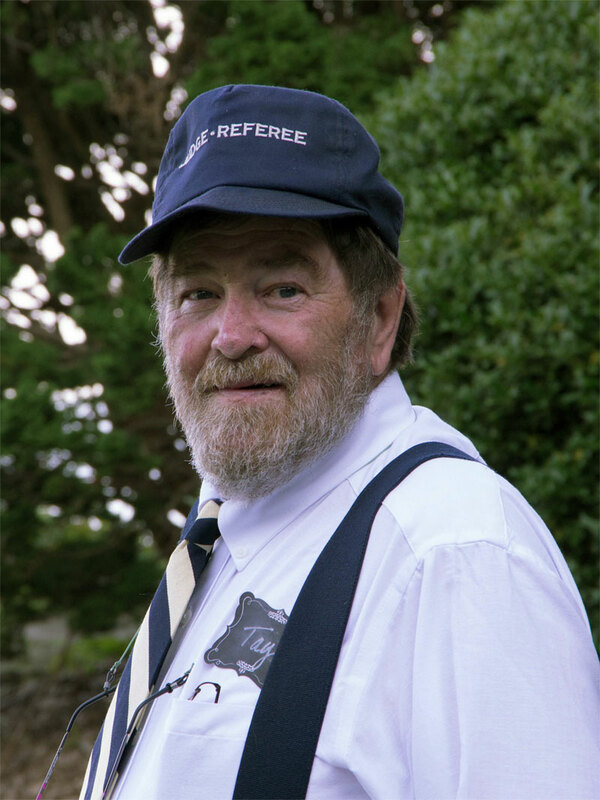 In the course of his involvement with the competitive rowing of these 10-man whaleboats on San Francisco Bay, Vaughan was elected a Chief Judge-Referee for open water/whaleboat rowing regattas and made an Examiner and Clinician by the United States Rowing Association. During that time, also, Vaughan met and married a hard-working woman who, like a teaspoon of Thorazine, stabilized and redirected him. 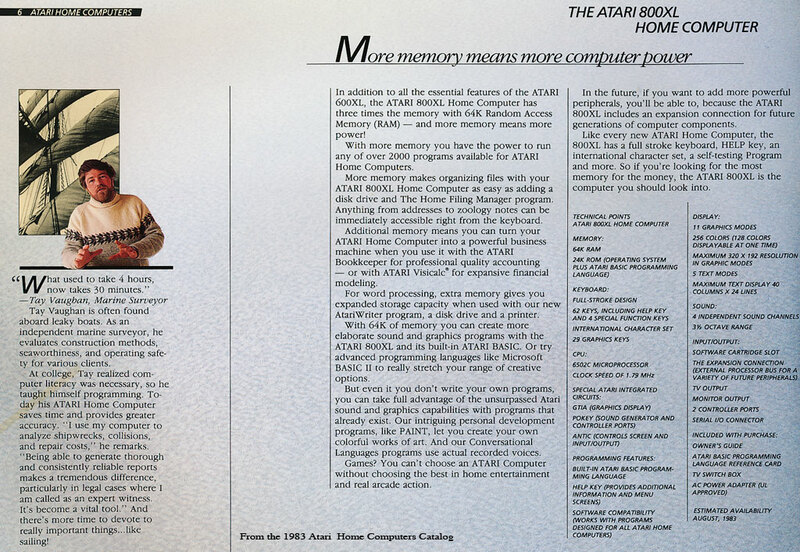 Atari had gifted the Institute several computers for marketing and PR purposes, and, familiar with the computers and fluent in Fortran and BASIC, Vaughan left the sea and went to work there as a Senior Technical Editor, and prepared original computer programs and editorial material for The Atari Connection, a computer magazine. He was a founder and the original incorporator of the Computer Press Association and worked as an editor and columnist contributing to several high-tech magazines in Silicon Valley. 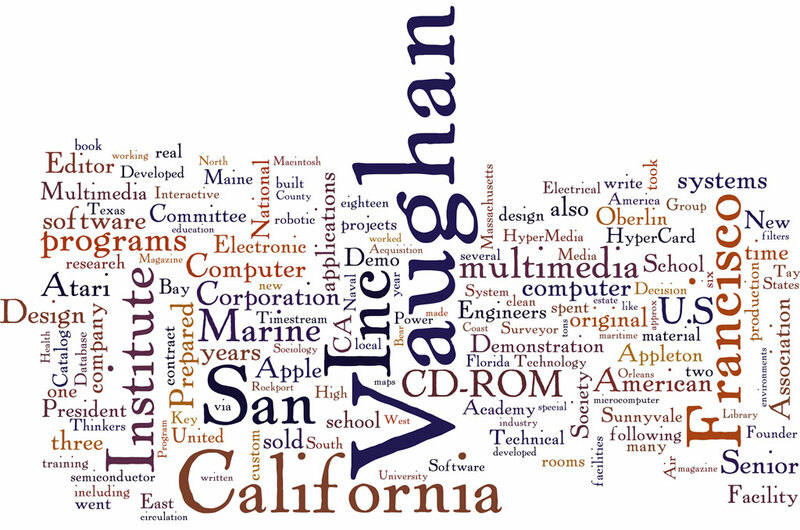 Vaughan formed a company in 1985, Key Thinkers, Inc., to design and engineer hardware, software, and robotic systems for high-technology environments. 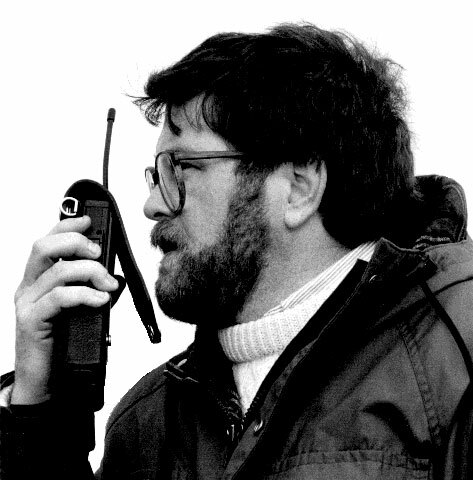 At KTI, he oversaw and contributed code to the development of a comprehensive series of eighteen real estate and insurance programs that were bundled with an early NEC laptop computer. 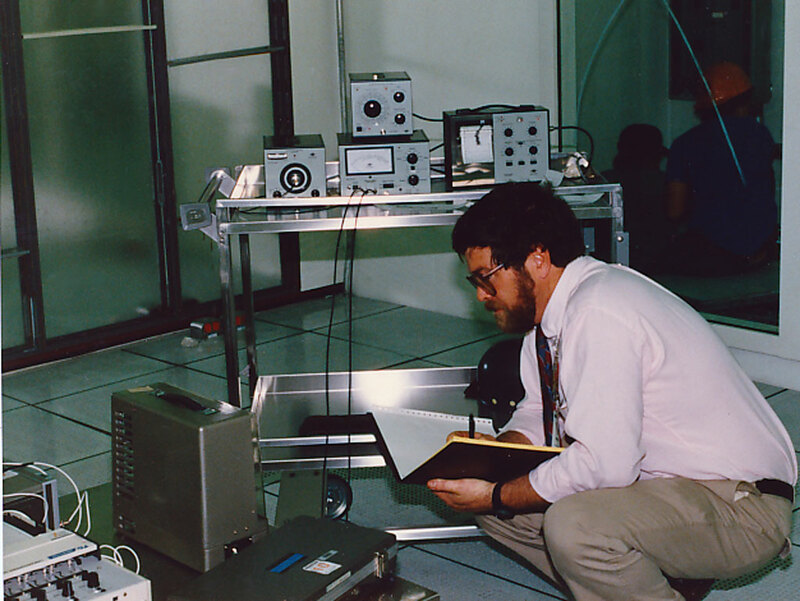 He also led projects involving the creation of special telecommunication terminal emulation programs written in the "C" language, and created original algorithms and coded the control software for a robotic scanning device to inspect High Efficiency Particulate Air filters used in nuclear research facilities, in virology laboratories, and semiconductor manufacturing clean rooms. 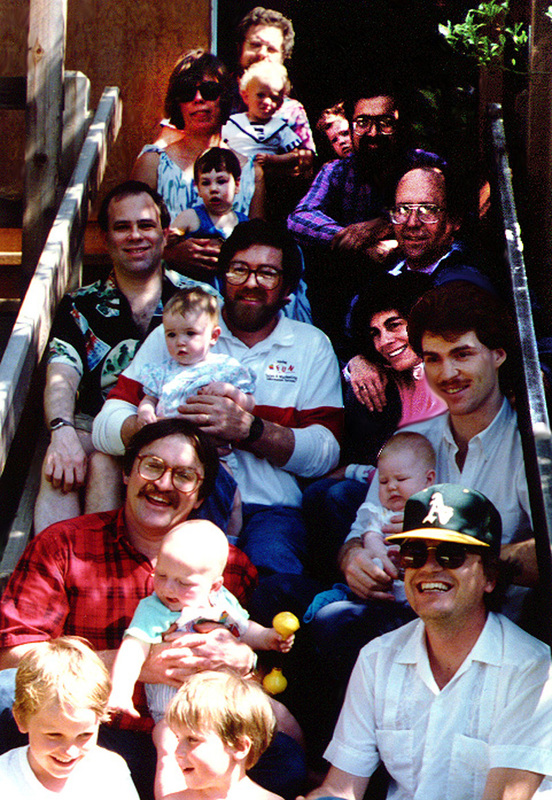 During 1987 Vaughan's daughter, Elizabeth, was born, and during 1987 and 1988, Vaughan worked for Apple Computer in Cupertino, California, as a contract multimedia instructional designer and programmer hired to write specialized HyperCard programs for internal Apple Corporate use. When he told them he not only hadn't used a Macintosh before, but had barely heard of HyperCard, they said "No problem, we want you for your creativity; HyperCard shipped two weeks ago, and nobody else around here knows it, either." He warrants that if in your lifetime you get a job offer like that, an offer based on the right criteria, you should take it. Que asked him to write a 700 page book, Using HyperCard: From Home to HyperTalk, an effort for which he enlisted help from a bunch of friends. The book shipped to stores, lived for about a year, and went out of print. Vaughan claims that the act of book writing is like childbirth - a very painful and energy-consuming experience; but soon you forget the pain and can be seduced into doing it again! 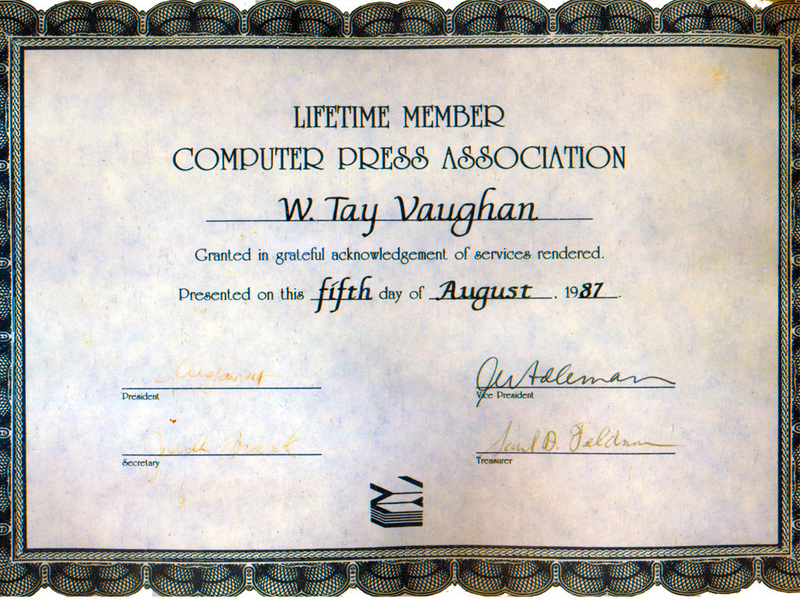 In 1992, Vaughan sold his interest in The HyperMedia Group to found a new company, Timestream, Inc. At Timestream, a CD-ROM and broadband multimedia title production and publishing company, he could "write once and sell many" instead of "write once and sell once", the latter formula being causal to the financial peaks-and-valleys typical of a contract-based service enterprise. He took time to write about his experiences in the trenches, and produced the best-selling college-level text book, Multimedia: Making It Work, now in its ninth edition and available in many foreign languages including Spanish, Portuguese, Indonesian, Korean, Chinese, Russian and Hebrew. 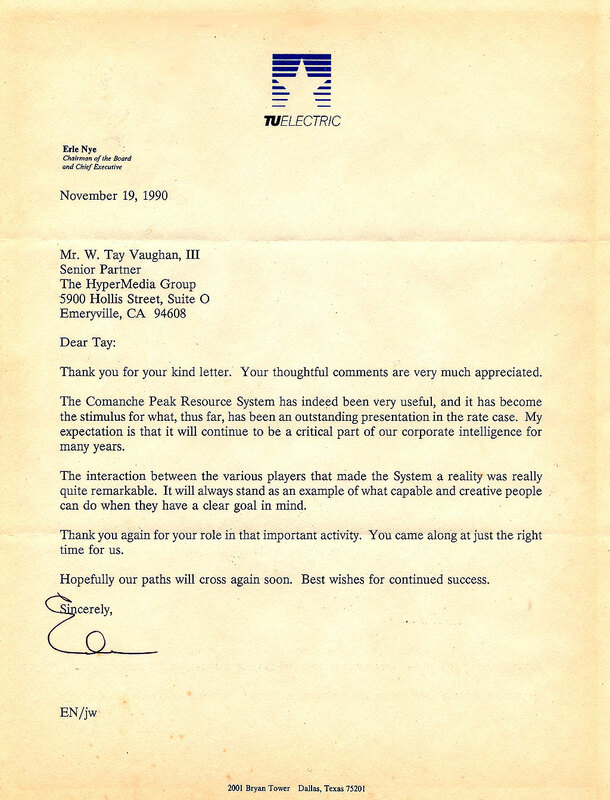 During this time Vaughan and a group of talented partners organized a CD-ROM-based multimedia company, Porcupine, Inc., raised over six million dollars in venture capital promises, but then shut down the effort when it became clear that the Internet would overhaul polycarbonate as a distribution medium. 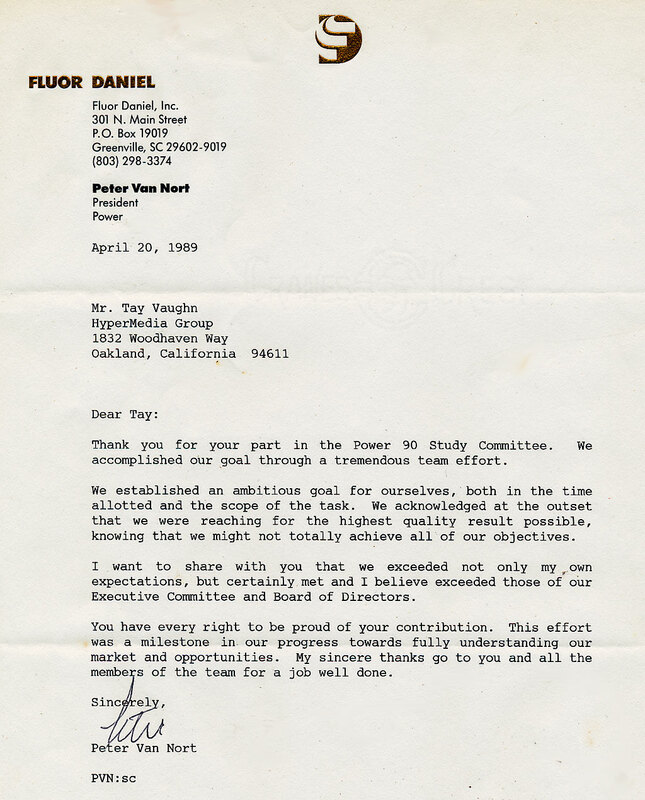 In 1998, claiming that he needed but sufficient bandwidth and an airport nearby to keep things going, and wishing to move home to that place of real seasons where his great grandfather had settled in 1786, Vaughan moved his family and his company to a 200-year-old dairy farm with 26-acres of hayfields and woods, a 1/4-mile frontage along the St. George River, and a Greek Revival Cape-style mainhouse with three barns, located near the schooner ports of Camden and Rockport in the midcoast section of Maine. In 2001, following the accidental discovery of a profound long-term deceit in his marriage, Vaughan awoke quite unexpectedly to a nightmare best described by Kafka and Tolstoy. Rooting around in the ashes of confusion and unable to recover from that wreckage sufficient unscorched material with which to build a new foundation, Vaughan divorced his wife of eighteen years. 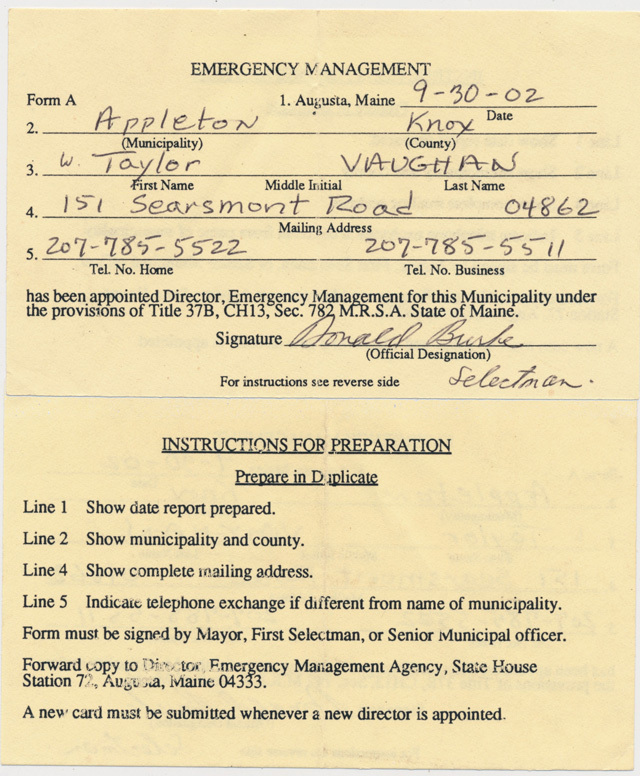 In 2003, as a volunteer firefighter in Appleton, Vaughan was awakened by a "Code Two, Structure Fire" radio alarm late in the night, the sort of call where firefighters bolt the house in slippers and not much else. Driving the attack engine to the scene, Vaughan noted in local radio traffic that two firefighters were headed the wrong way, the address having been dispatched using new e911 databased road names. The fire was luckily put out by the homeowners before the department arrived, but the experience prompted Vaughan to develop a street map for his town listing all "official" dispatched road names. The neighboring town's fire department discovered this map and asked "Hey, man, make one for us! ", which he did. 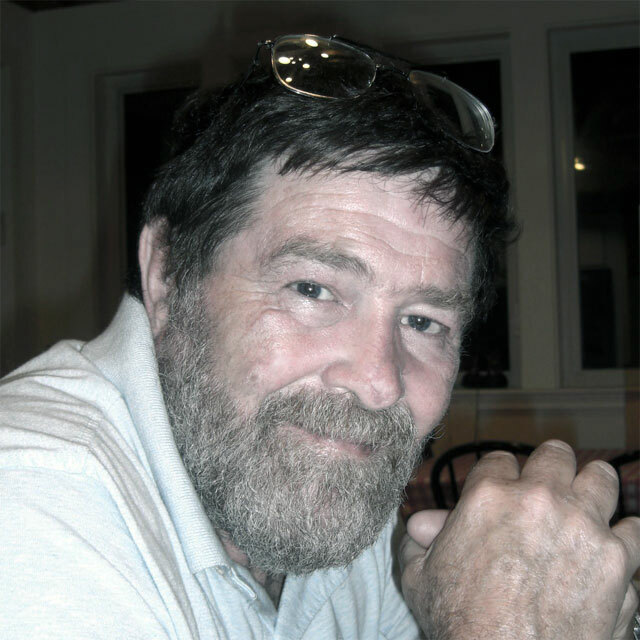 In the quiet of that winter, he went on to create street maps for eighteen surrounding towns and island communities, printed them in atlas format, and in the summer of 2004 sold them at local bookstores, markets, and gas stations. The maps were a popular success, and Vaughan, somewhat surprised to be identified as a "cartographer" by newspapers, local school groups, and the cub scouts, has since produced detailed street maps of about seventy towns along Maine's midcoast. In 2006, Vaughan went into one of the rooms of his farmhouse and realized, suddenly, that no human had visited that room for at least two months. 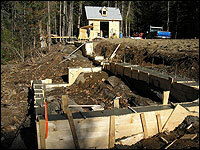 In 2007, he sold the farm and downsized to a smaller property in Appleton, where he constructed a new home using 10,000 board feet of lumber milled from the spruce, pine, oak, birch, and maple trees felled during clearing for a 900-foot driveway and house site. Indoor firewood storage is but six steps from the kitchen's Queen Atlantic cook stove. 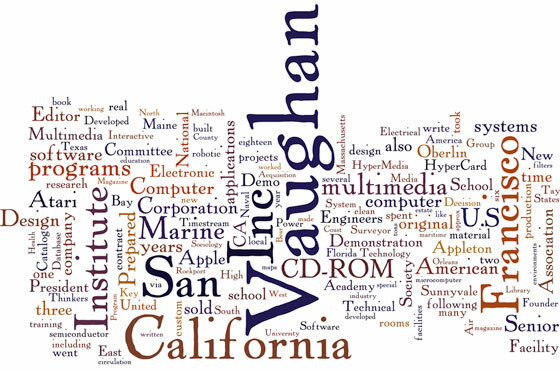 Vaughan has maintained memberships in the Institute of Electrical and Electronic Engineers (1986-2010, #01837327), the Society of Naval Architects and Marine Engineers (1976-2010, Electronic Media Committee, Sub-Committee on Web-based Training/Distance Learning, 2007), the American Boat and Yacht Council (Electrical Standards Committee, 1977-1982), American Society of Naval Engineers (1975-2010, Journal Committee, 1990), Institute of Environmental Sciences and Technology (1986), United States Rowing Association (Judge/Referee), and the Computer Press Association (Founder, Elected Honorary Lifetime Member in 1987). He is also a past member of the Oberlin College Alumni Association's Communications Committee and the college's Electronic Communications Task Force. For three years (1996, 1997, 1998) he spent a month as a visiting professor at the Interactive Telecommunications Program at the Helsinki School of Economics and Business Administration in Finland; he has lectured widely in America and abroad. In 2002, Vaughan was honored to be one of three judges choosing the "Military Artist of the Year" for the U.S. Department of Defense MILGRAPH competition, for which service he was presented not one, but three, unique military coins representing several commands. 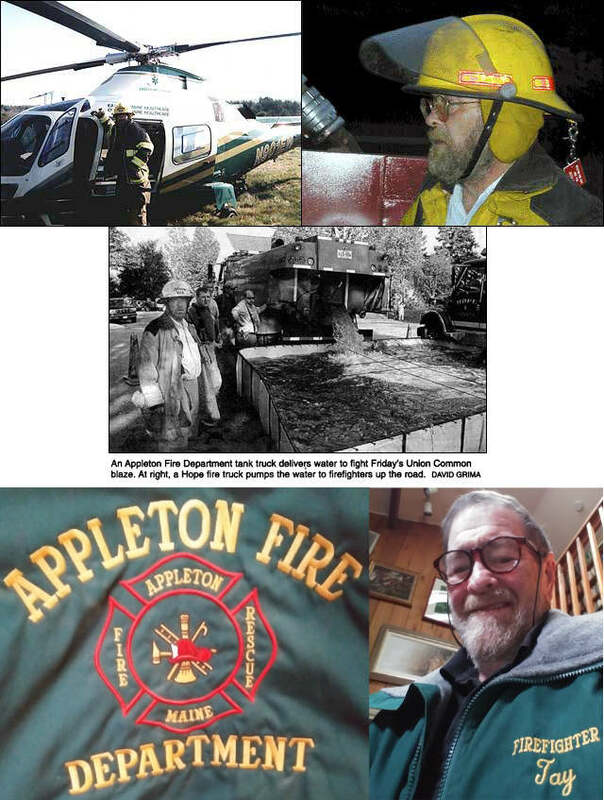 He was a Trustee of the Mildred Stevens Williams Memorial Library in Appleton, sailed occasionally on Penobscot Bay, and was appointed Appleton's Emergency Management Director. 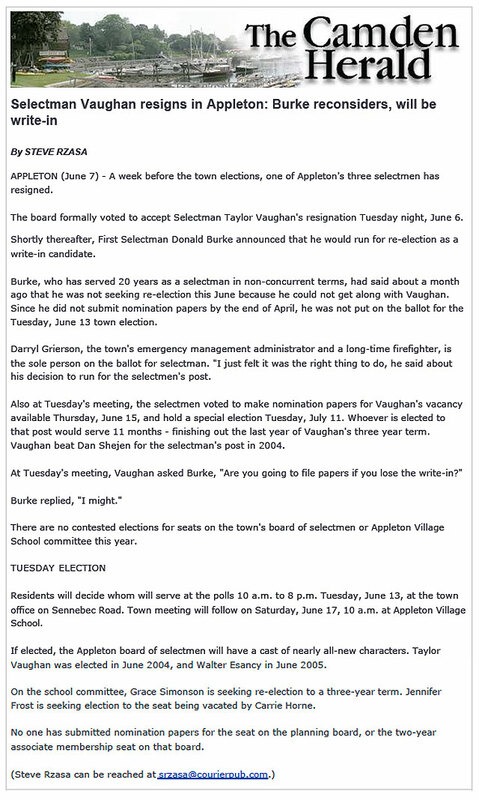 In 2004 he was elected "Selectman, Assessor, and Overseer of the Poor" by the Town of Appleton (2004-2006). He spent time on the Executive Board of Directors of the Mid-Coast Regional Planning Commission and was the Geographic Information Systems (GIS) Planner for the Knox County Emergency Management Agency. 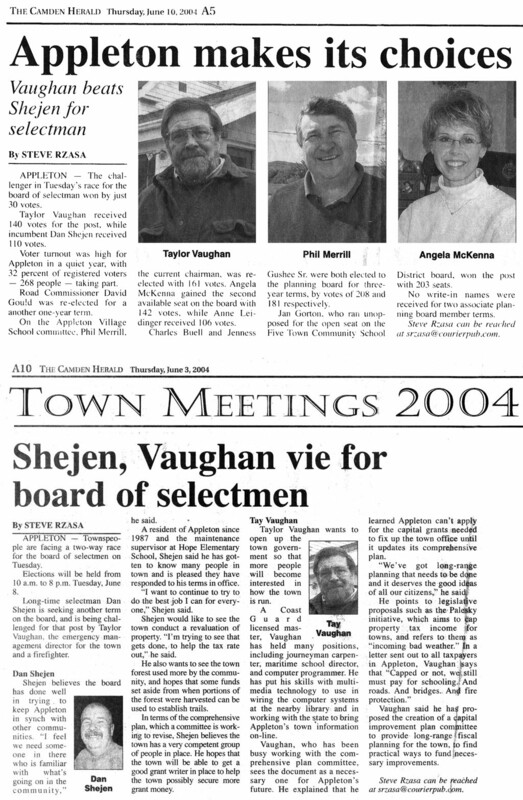 In the fall of 2010, a schoolmate from his Governor's Academy days put Vaughan in touch with an interesting woman who was living in the Washington, DC area. Following a year's acquaintancing and courtshipping across a 612 mile distance, Vaughan sold his home in Appleton to share his life with her at Scientists' Cliffs in Maryland, on the western shore of Chesapeake Bay. 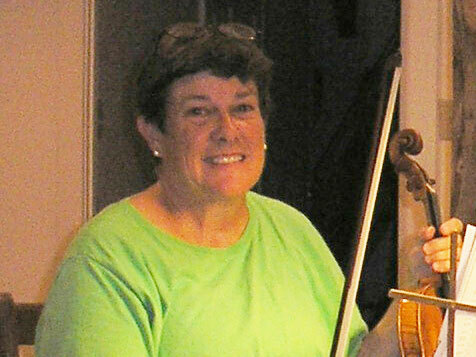 Not only a Juliard-trained and accomplished violinist and harpist who played in the Richmond Symphony, she had spent many years as a professor of pharmacology and toxicology at several top-notch medical schools before working for government (FDA and then EPA) as a chief scientist and senior administrator, where she was required on a daily basis to make far-reaching decisions about food health and pesticides. 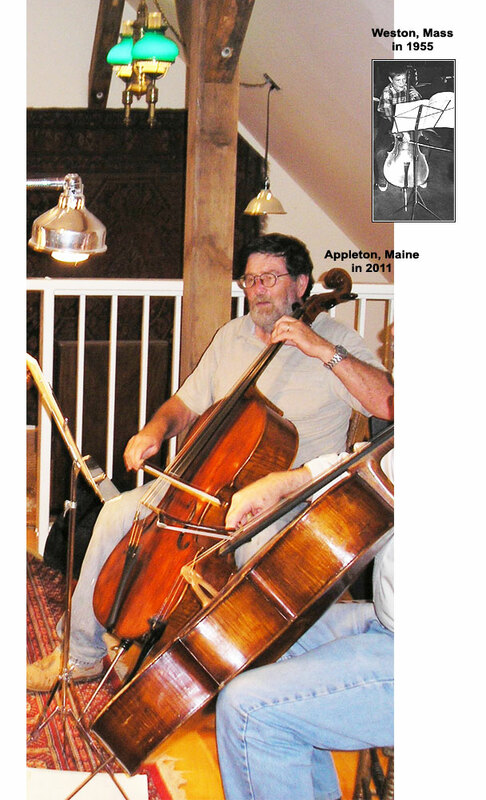 With the help of his new wife, Marcia, Vaughan designed and built an addition to their "cabin" at The Cliffs, and they settled into a quiet but enriched life of music, art, friends, and travel. Starting with their wedding day in 2011, they began counting anniversaries using "dog years" in order to catch up with their neighbors. In 2014, Vaughan was appointed Chairman of the community's Operations Advisory Committee and became involved with immediate and long-range planning of infrastructure and maintenance projects for 240 member families -- until the fall of 2015.